Short post with a simple message: if you are in Rome between now and 21 July, go to Palazzo delle Esposizioni and see this exhibit. It’s an engaging installation by a couple of dozen artists from the greater NYC area. I cannot describe it better than the project’s website so I won’t. 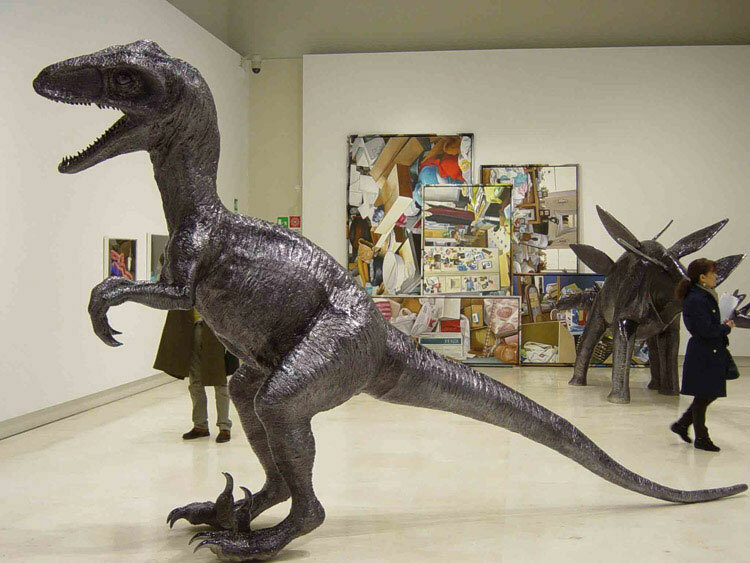 http://english.palazzoesposizioni.it/categorie/empire-state-arte-a-new-york-oggi. We loved the dinosaur installation for its whimsy, but also for a message about “stuff” and the propensity to collect, or more specifically to hoard. 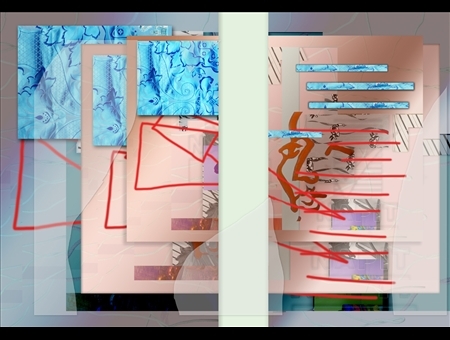 Michele Abeles’ “Flag Flag Flag” is strikingly displayed, and Jeff Koons’ turquoise polychrome Venus Antiquity took my breath away, but the empty chicken coop and flashlight left me shaking my head. I wonder if I can be paid as an artist for putting an espresso machine on the floor with an iPad on my coffee table. Just go. Flag Flag Flag by Michele Abeles, one of the younger artists featured. History of the World by Jeff Pruitt: Shiny dinosaurs tower over the visitor while gazing at stuff collected by hoarders. 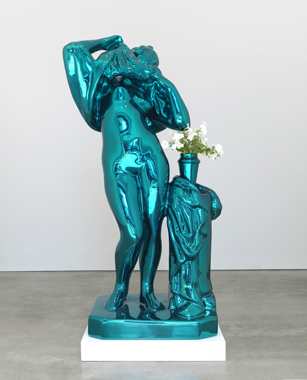 Curvaceous, shiny, sensual: this is Jeff Koons’ Venus Antiquity. It invites a 360 degree viewing.